Rhino-Rack, a relative newcomer to the US market, has been selling racks and rack accessories in Australia for 22 years. The company began selling their products in the US about 5 years ago and now run their North and South American sales out of Denver Colorado. 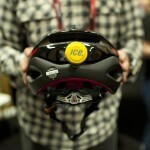 September’s InterBike was their first, and they came ready to play. Rhino-Rack products are known for their durability and larger load capacities. They pride themselves on innovation (they were offering aerodynamic crossbars 16 years ago). They push aggressive price points by working directly with their dealers to keep the consumers’ costs down while improving the dealers’ margins. 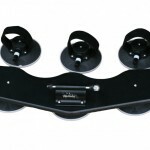 Rhino-Rack has several styles of hitch-mount racks available. Their most popular is the Dual Trekker plattform rack. 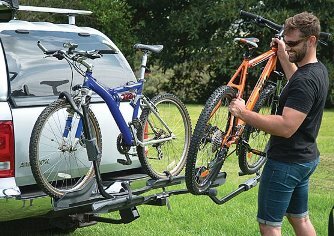 The 2 capacity bike carrier features ratcheting arms to secure the front wheel to the rack and a strap for the rear wheel. The rack folds up when not in use and can fold down when loaded to allow access to the rear of the vehicle. It fits 1-1/4 inch or 2 inch receivers. A locking hitch pin and cable lock are included so you can rest assured that your bikes are safely secured to your vehicle. The Dual Trekker retails for $375. The $159 spare wheel rack carrier is a great option for riders who have vehicles with a rear mounted spare wheel and don’t have a hitch. The rack mounts on the spare and carries up to 2 bikes. 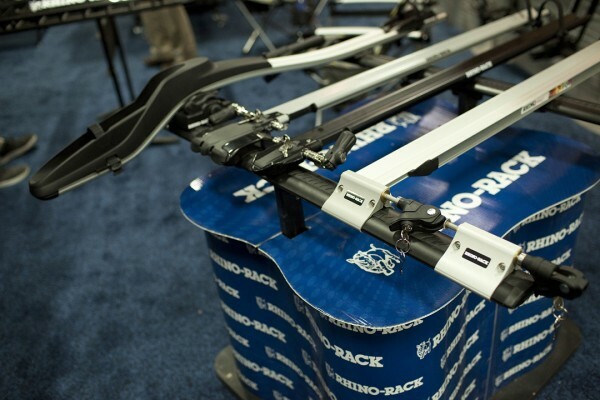 Rhino-Rack has additional rear mount bike carrier products, providing riders with a few options. They also offer several roof mounted bike racks. Whether you prefer to leave your front wheel on or use a fork mounted system, Rhino-Rack offers racks with both options. One of their latest innovations is the Backbone system, made specifically for the Jeep JK Wrangler. The Backbone is an aftermarket internal frame that increases the Jeep’s roof load rating from around 65 lbs to 300lbs. The system is permanently installed to the vehicle but still allows for the removal of the hardtop. It designed for a low stack-height and can be set-up with cross bars or their extremely versatile Pioneer Tray. The Backbone system allows customers to load their vehicle with a lot of equipment. 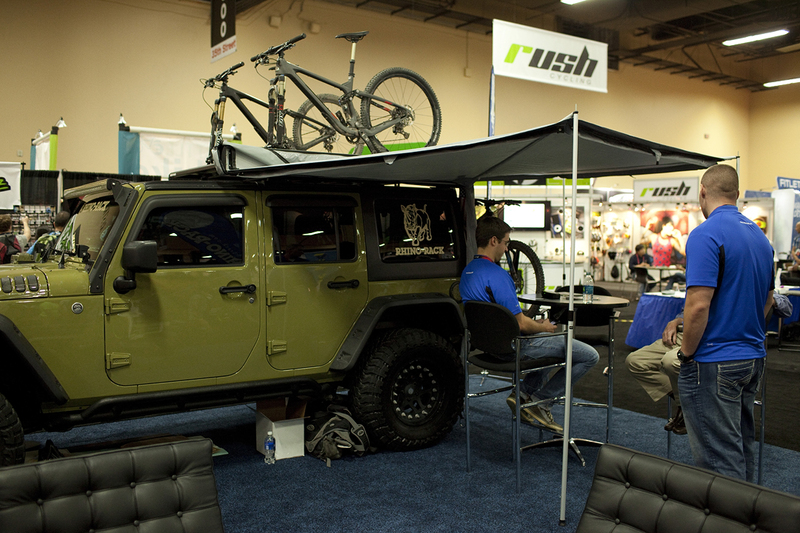 Company VP Anthony Leix said users are even installing pop-up tents on top of their vehicles. Rhino-Rack offers a variety of trays but perhaps the most versatile is the Pioneer Platform. The Pioneer platform is a modular system allowing for all sorts of configurations including, but not limited to, bike racks, ski carriers, kayak carriers, contractor accessories, and cargo boxes. It comes in 7 sizes to fit a wide range of vehicles and needs. Leix feels that the modular roof tray system is the future of racks. While Rhino-Rack focuses a lot on the 4×4 market, their products are designed to fit a wide range of vehicles. Some of their engineers focus specifically on making sure their racks will work on a wide range of vehicles. Their roof racks will work on vehicles with everything from completely bare roof lines to those with factory elevated side rails. They have an extremely useful rack selector on their website, allowing users to quickly and painlessly choose the correct system for their vehicle. Some of the most exciting products from Rhino-Rack are their accessories. 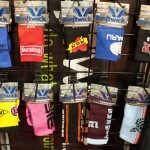 Their shade products integrate directly in to their racks, or the racks of many of their competitors. The Foxwing Awning mounts directly onto the side of their racks and trays. 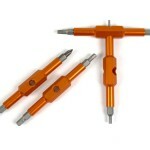 To set it up you simply unzip the bag and swing the awning out, placing the poles as you go. 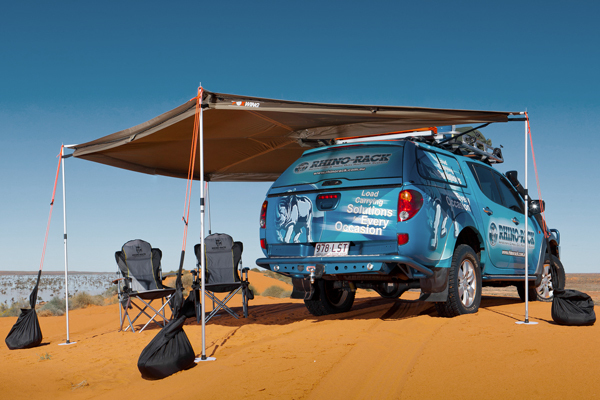 It is a slick awning system and an excellent option for anyone looking for shade on the go. 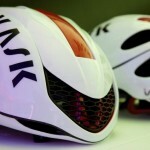 It would make for a great set-up at a race or event. Their canopy system is extendable with extra shade sections, walls, and event integrated tents that can be attached directly to the Foxwing Awning. In addition to their shade systems, Rhino offers camp chairs, lighting, and plenty of work solutions. Perhaps the best thing going for Rhino-Rack is their depth. They offer such a wide range of options, you can get almost anything you desire for your transport needs. Most of us are multi-sport athletes and they have it all covered from cycling and camping, to snow and water sports. Contractors will love their work accessories and weekend adventurers have plenty of gear and gear transport options to take them deep into the wilderness, fully supplied.